Dawn and me... my twin sis and BFF! 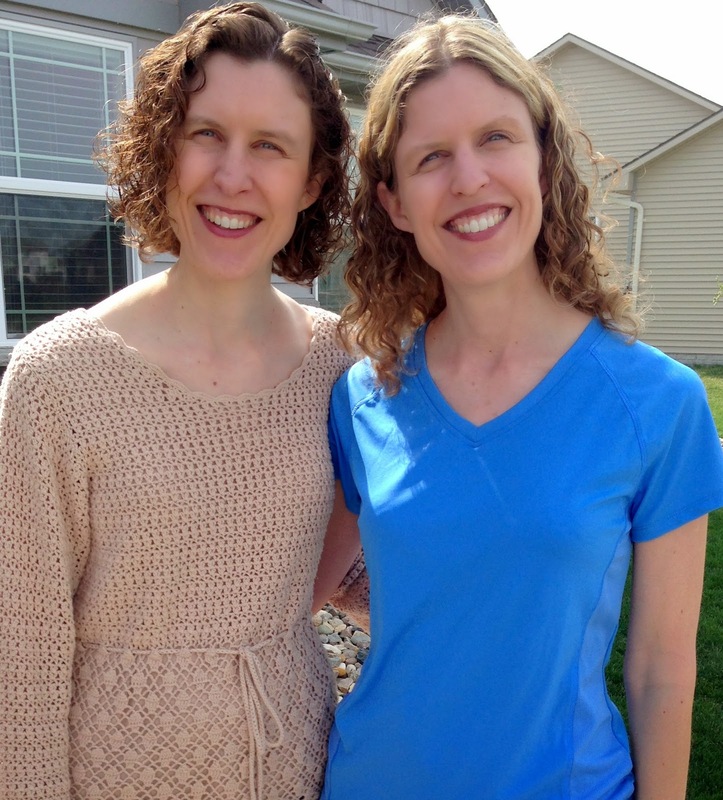 I'm taking a "brain break" this week and typing a post about a topic super-easy to talk about - my twin sister! She is actually an important part of my TpT "business". She is my #1 proof-reader! For the past 18 months, anything that I post goes through Dawn first. She checks for typos and revises for me. Not only that, but most of my products also land on Dawn's computer "coverless", and she designs them for me. (I know, I am so lucky!) She even sends ideas my way! After talking to her one Sunday last year about my desire to create some activities that focus on theme, she emailed me the suggestion "How about a theme-filled cupcake craftivity?" Unfortunately for me, she lives in West Des Moines (which is about three hours from where I reside). I wish she lived across the street from me! She works for Meredith Corporation, which produces Better Homes and Gardens, Parents, and Family Circle magazines (among others). She works in the newsstand division - so many of the magazines that you see in the racks the grocery store checkouts, Dawn had a hand in getting them there! She has always been my best friend. We've never gone through a phase where that wasn't the case. (However, we still joke about the infamous "Barbie Fight of 1986" that involved some hair-pulling.) Thank you, Dawn, for your friendship and support! Oh, one more thing! Dawn was definitely the one blessed with the ability to design. I remember when we were teenagers, she'd say, "Ummm.... Debbie, those colors don't really go together. You might want to wear something else." 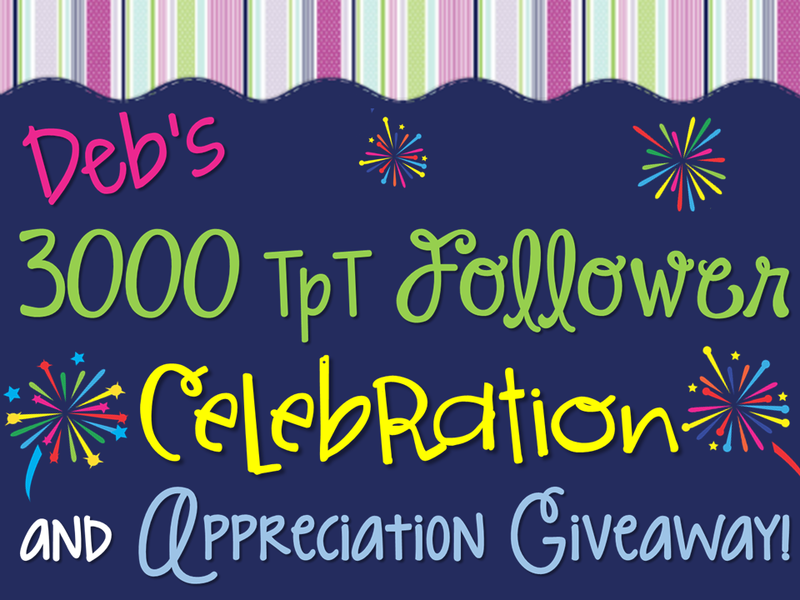 Anyway, she is the one who can be credited with creating this adorable little image promoting the giveaway I am going to be hosting this weekend! Please come back on Saturday to enter! There will be some great prizes including gift cards to TpT, Amazon, Target, and Starbucks, along with some incredible TpT resources from several friends! Banner by the 3am Teacher, and fireworks by The Learning Site. Ah, so sweet! Sisters are the best! I lost mine two years ago and miss her terribly! She was 15 years older than me and was almost like a second mom as well! I was doubly blessed by that. I must share with my class that it's not only Mrs. Deb who gives them great craftivities and powerpoints, but also Mrs. Dawn. They will love hearing about the creative sisters! How awesome! I didn't have. Sister growing up, but I love having two sister in laws!